A fun activity for a birthday! 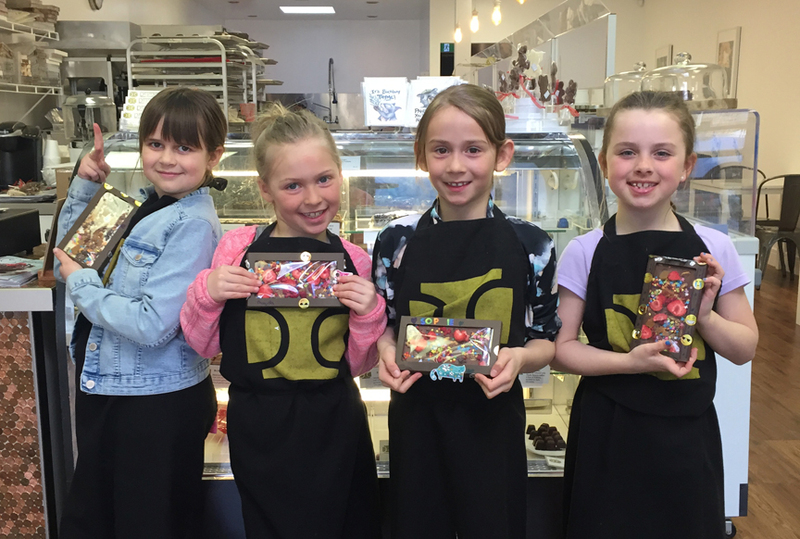 Do you have a budding chocolatier in the family? We have a great new activity for children from 4 to the child at heart. 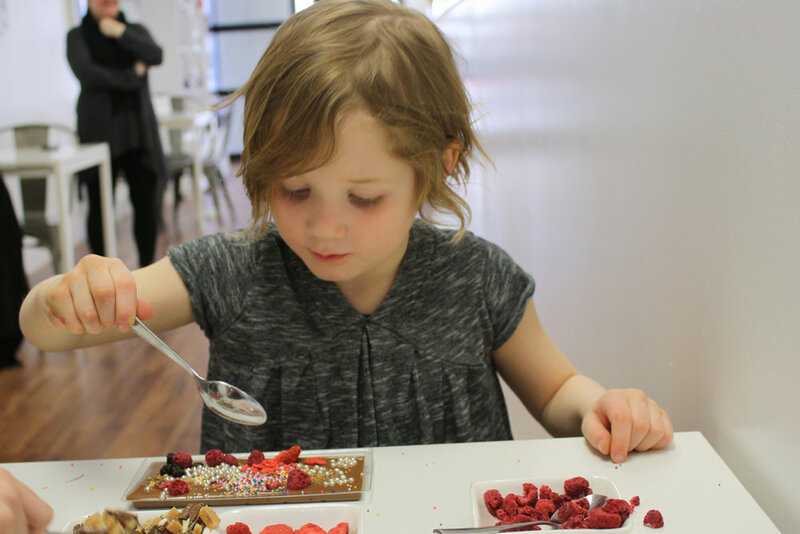 First, we decorate the chocolate mold with coloured cocoa butter; it is then filled with the chocolate of your choice and decorated by the participants with a variety of different toppings. Whilst the bar is setting the kids will enjoy an ice cream of their choice and decorate the chocolate bar box. We then package the bars before the kids take them home. We also offer this fun activity at your event or location. Please call the store for pricing.